I’m a little behind on posting some of the custom bags I’ve been making lately. I’ll post a few in a row in the next little while. 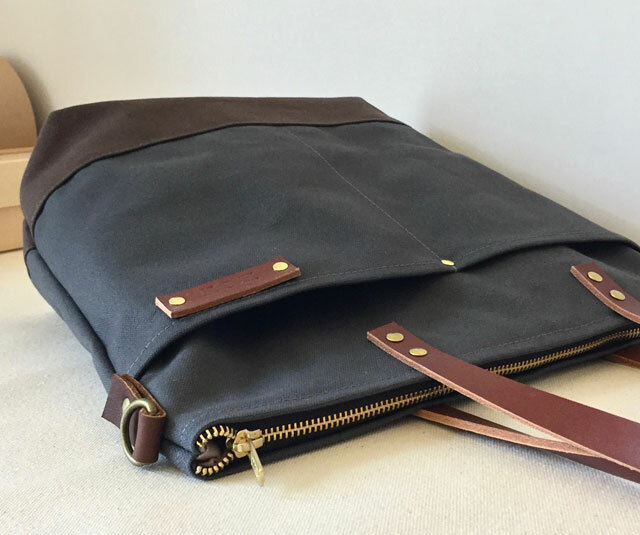 This is a custom Commuter Bag for Lyndi in Wilmington, California. The regular Commuter Bag has short hand-held handles. 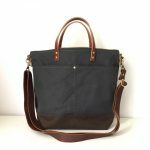 Lyndi wanted long tote straps so that she can wear this bag on the shoulder and across the body (messenger style) when she needs to. Lyndi also added a personalized leather label with her last name shortened. 2 front pockets were also added the front of the bag for added organization. 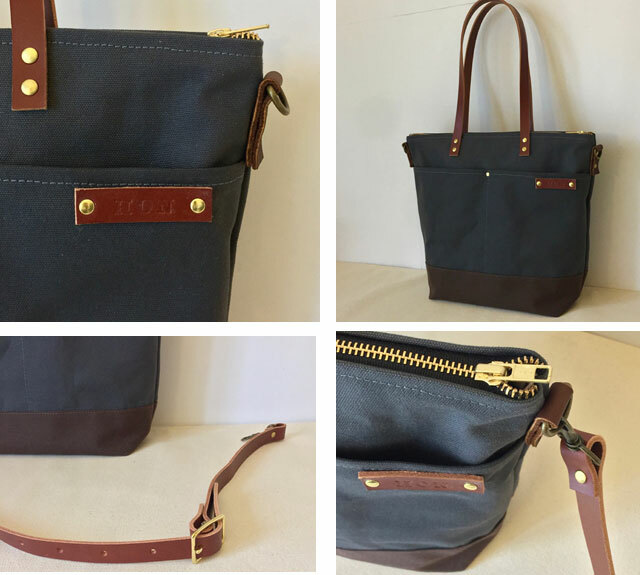 A full brass zipper runs across the top of the bag for security. I just want to show you the 2 front pockets, which is a very popular custom add-on. It makes it so much easier to get things quickly. It’s especially useful if you plan on using the bag as a diaper bag. 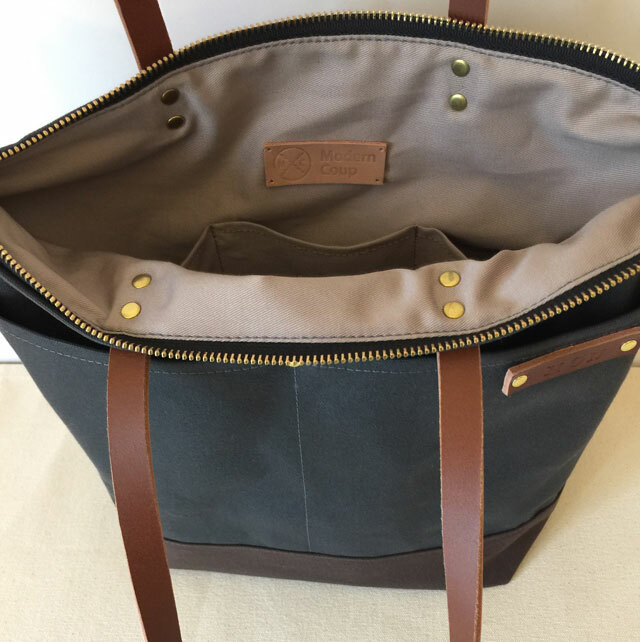 The interior is lined with a tanned cotton twill lining. 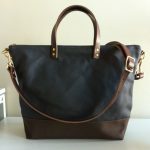 The bag is separated with 4 inside pockets: 2 bottle pockets, 1 large pocket and 1 small one for your phone/small items. 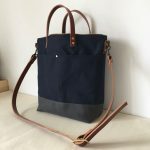 Please contact me if you would like a similar bag handmade for you. It typically takes about 7-10 business days. If you have any questions, email cathy@moderncoup.com or message me on my Etsy store. Thanks!